This is a cubist play. The action is seen from more than one point of view. As a consequence time in the play is fluid and discontinuous. The almost simultaneous advent of cubism and quantum theory destroyed the foundations of the modern world. The impact was so profound that now, after a century, the effects are only just starting to become apparent. Gilles, Baron de Rais (1404–1440) , was a Breton knight, Marshal of France, and a companion-in-arms of Joan the Maid. He had the honour of carrying the Oriflamme (the Battle Standard of France) at the coronation of the King in Rheims. In common with Joan and probably a consequence of his vast wealth, which vanished, he was murdered by the French Crown after a show trial. Farfetched black propaganda surrounding his end is still current in the legend of Blue Beard. His story is similar to the extirpation of the Knights Templar by the French Crown (1312) and the dissolution of the Church by the English Crown (1540). Two uniformed men and a Newsperson with a microphone drag Gilles along the corridor of a shattered office block. To get it off your chest. Gilles That must be one of the world’s worst kept secrets! Newsperson Or best known lies. Newsperson Suppose you hadn’t done it? Newsperson …Oi! You don’t care. All this happened half a thousand years ago. We can’t dig it from the snow. Is your side of the story. Gilles My side of the story? Newsperson We’re giving you the chance to have your say. Gilles Frightfully kind an’ all that. Newsperson You’re saying you did it? Newsperson You’re saying you didn’t do it. Gilles What am I saying I didn’t do? Face all smeared with gore. The date and places where they died. The evil details you can’t hide. Giles There is no story. Newsperson There’s always a story. And then there’s the telling. Gilles Do you know this play? Gilles But, it’s the telling that matters? Well I have not been up to scratch . Under any part of the rainbow except where the treasures buried. Electric shocks or force fed paraffin. You don’t need to be afraid of it. I’ve every reason to be afraid. Prisoner of the sole of the state. Newsperson They’re gonna get you. Just whose side are you on? They are going to burn you. Gilles Can’t win them all. Newsperson But you can win too many. I really didn’t do much. The King only owes you his crown. Didn’t do much at all? Gilles No. It was all very ordinary. Mouth full of clotted children’s blood. I left her to burn. You did in 200 kids. I am a soldier, killing is my trade. Nor deliberate harm against the young. Newsperson She’d didn’t add up to much. She is the spirit of the first modern state. Is a figment of her imagination. 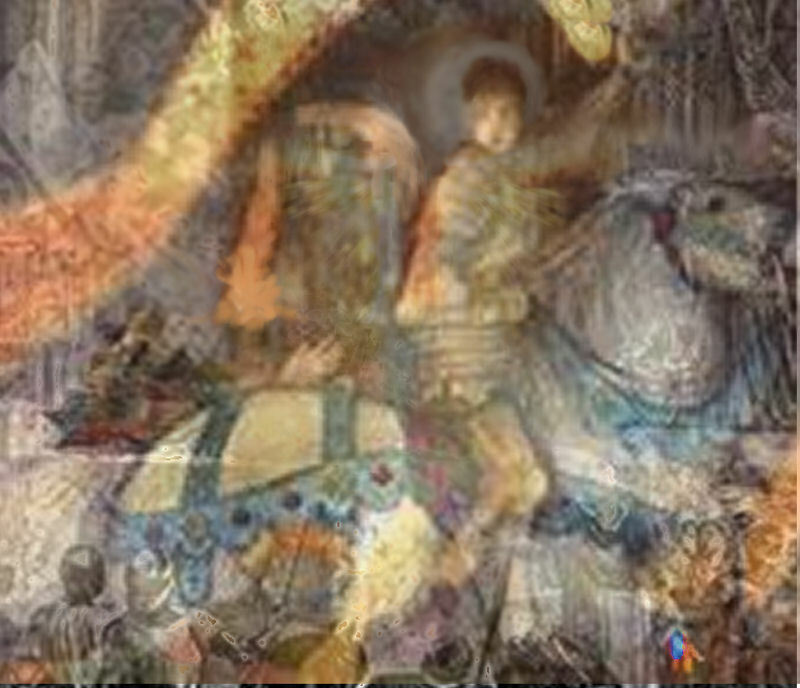 This entry was posted on 15 August, 2012 in homepage, Uncategorized and tagged Baron de Rais, death of the old, Mike Lesser, quantum, St Joanof arc. Bookmark the permalink.